There are two new reports on the U.S. economy worth mentioning this morning. 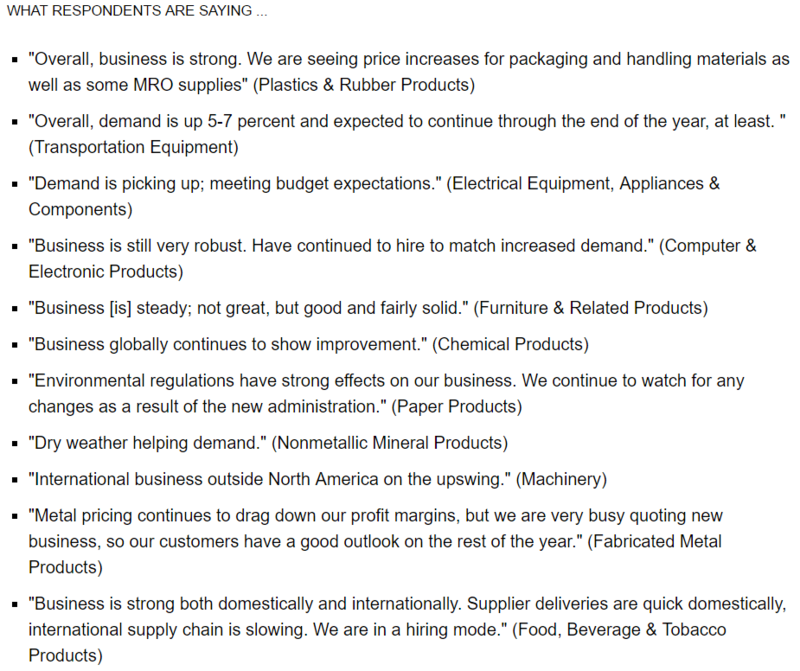 First, the manufacturing purchasing managers' index (PMI) from IHS Markit ended June at 52.0, the 5th monthly decline in a row following the nearly 2-year high hit in January. Under the hood, new business growth continued to slow and the rate of expansion in manufacturing production slid to a 9-month low. However, surveyed managers expressed “resilient confidence” towards the year-ahead outlook, with reported optimism back to the strongest level since February. Another positive was that input cost pressures (inflation) eased in June, retreating to the weakest reading in 15 months. 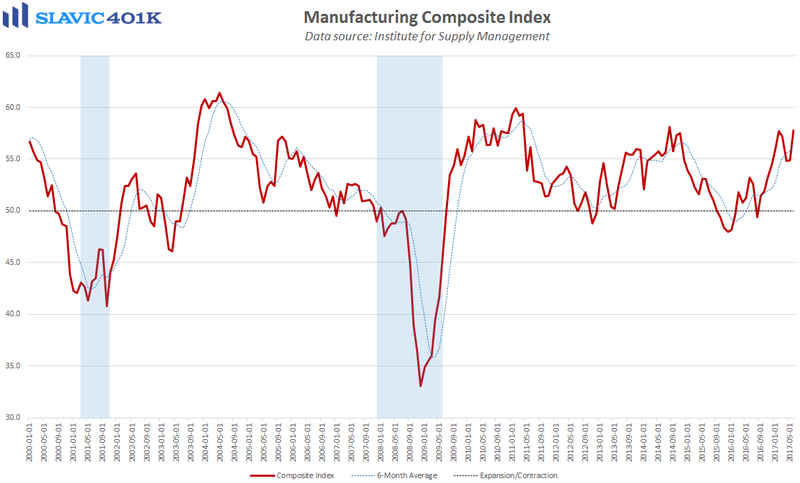 Even more encouraging was the Institute for Supply Management's (ISM's) manufacturing index, also released this morning, which jumped to 57.8 in June. That was significantly better than anticipated and the highest headline reading since August 2014. 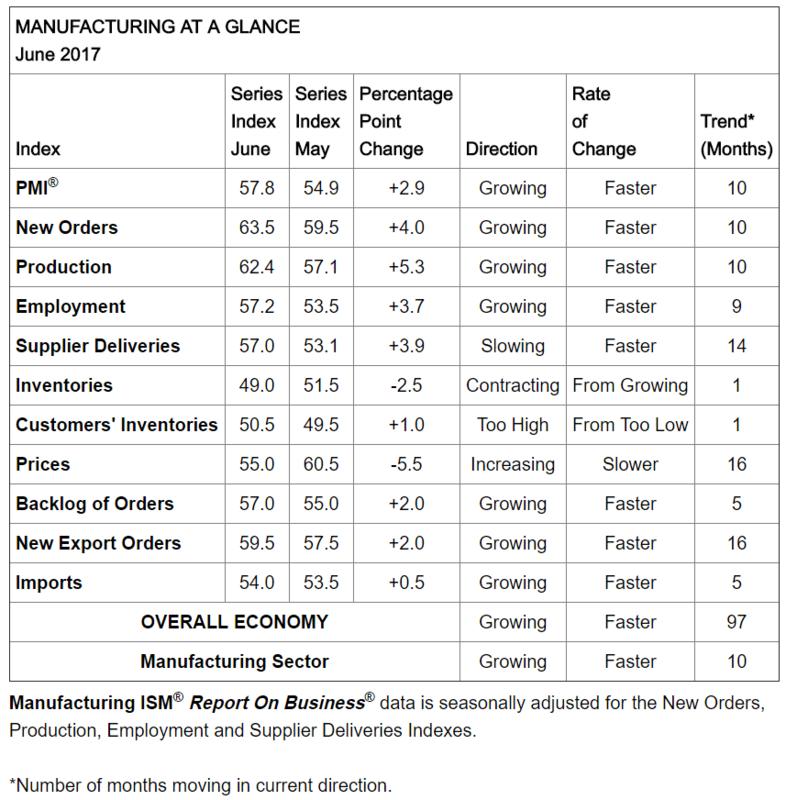 Measures of new orders, production, employment, foreign trade, and inflation all improved in June, and comments from surveyed managers were generally positive.